Tomorrow the dark side of the moon will be removed from my womb. If all goes as planned, and bureaucratic administrative confusion doesn't get in the way, I will be having a tumor removed from my uterus/ovary. I wasn't expecting the admin hang-ups I did today, so there is a small chance the surgery will be delayed to clear up these details. Wish me luck!! All that packing I did earlier did me a lot of good (not) as my luggage didn't arrive with me to Italy, making for a very stressful trip for me. Prescription medication, costumes, other essentials, all missing. At the same time, I was in paradise and appreciated the view as much as I could. During my stressful trip, I told my buddy Victor in an email "Don't tell me some Rumi quote right now, I don't want to hear it". 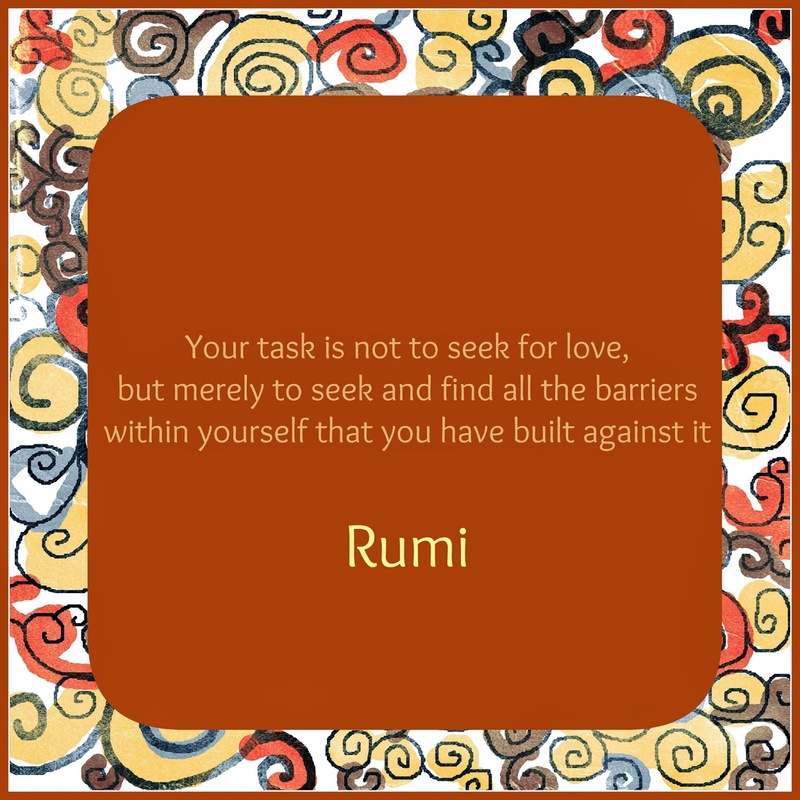 After my trip we were Skyping and he searched "Rumi" and "quote" and sent me the first one he found. Thanks, and I don't get it. 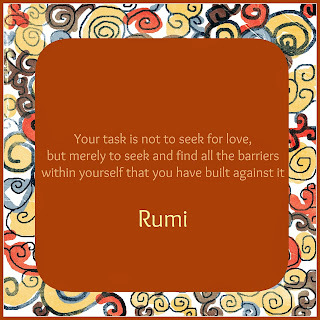 I need a Rumi translator. My Dad has a nice tradition of sending me poppies for Remembrance Day (November 11th in Canada). My Dad's Dad (my Grandpa) was in the Canadian Forces, and for 3 years my Father and his family lived in Westphalia, while my Grandpa was stationed in Germany. I love knowing my Dad first heard the Rolling Stones while living here. The men on my Mother's side of the family, including my passed-on Opa, all fought in the German army, so Remembrance Day is meaningful for me. I keep having to laugh when I re-read this one line from an email of my Dad, "Good luck with your surgery, Germans can fix anything". I'm so glad this is TRUE. I feel I am in very good hands with these doctors. Things here in Germany are beyond thorough. I'm also feeling I'm in good hands with the friends I have here. My Berlin family makes me feel well taken care of. I'm still a ball of stress despite the support, but am trying to keep a smile through it all. I may be without internet for a few days, while in hospital, so auf wiedersehen for now! Tschüßies! It's my birthday and I've got a CD to go with it! "The Secret Liberation of Clothes"